You are not defined simply by what has happened to you or by what you have done. When the Son sets you free, you are free indeed, and He gives you a new name. Do you know the “story” behind your name, and why your parents gave you the name they did? What’s the significance of “being named”? What names and titles have you acquired in your life? How do names, including the labels others put on us, shape who we are and inform our identity? Read through the following verses: Exodus 3:13-14, John 8:53, 56-58, Genesis 22:13-14, Judges 6:24, Exodus 2:10, Genesis 21:5, Matthew 1:21, Ephesians 2:19-20. What theme(s) do you note in these verses? What’s the significance? Read and discuss the following verses: Matthew 16:13-18, Matthew 26:69-71, Luke 22:61, John 21:1-19, Acts 2:14-41, Acts 4:5-10. What is the significance of his confession in Matthew 16? What do you observe about this sequence of events in Peter’s life? There are events in all of our lives that define us. What is one event or experience that has profoundly shaped your life, for better or worse? What narratives about yourself do you struggle with? How does accepting a wrong narrative limit your freedom in Christ? In terms of your identity, where do you need to realign to a biblical view (i.e., 2 Corinthians 5:17, 1 Corinthians 6:19-20, Ephesians 1:13-14, John 8:36, John 3:16, Romans 8:1, Philippians 4:13)? Do you believe that, as a follower of Jesus, God delights in you? What are the implications of your answer? How are you valuing the people around you so that they have clarity regarding their God-given identity? Spend some time in prayer for the things you’ve discussed. 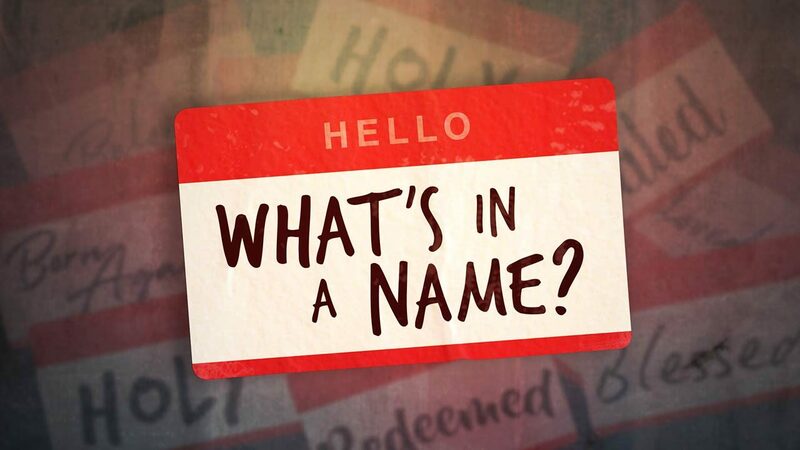 Ask the Lord to help you embrace you new name in Christ, pursue Jesus with your whole heart, embrace the community of Christ, lay down your life for others and share your new name with those who need a new name.